Rhubarb is tart, so it’s a perfect balance to strawberry dishes. 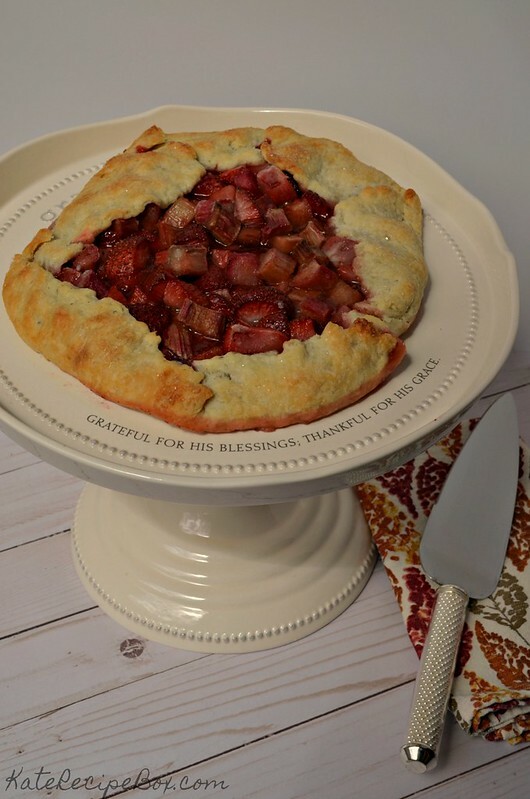 If you’re a rhubarb newbie, anything with the strawberry/rhubarb combo is a great place to start! If you’d like to see previous creations, check out our Pinterest board. In a stand mixer, combine the flour, sugar, and salt. Add in the butter and beat until the butter is small crumbs. Add in the cold water and mix until it comes together. Transfer the dough to plastic wrap, wrap up, and refrigerate for at least an hour. After the dough has chilled, preheat the oven to 400 degrees. Add the strawberries and rhubarb to a bowl. In a separate small bowl, stir together the lemon zest, sugar, and corn starch. Roll out the dough into a large round on a floured surface. Transfer the dough to a lined baking sheet. Sprinkle the dough with the almond flour. 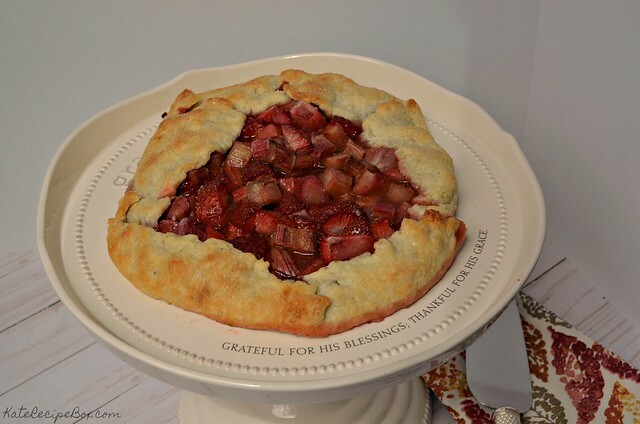 Stir the sugar mixture into the strawberries and rhubarb and pile onto the dough, leaving about a 3″ crust. Fold the crust up over the strawberries and rhubarb. Brush the crust with melted butter and sprinkle with granulated sugar. Bake for 40-45 minutes, until golden brown. Remove to a cooling rack. Ok, this sounds delicious and I LOVE the cake platter. 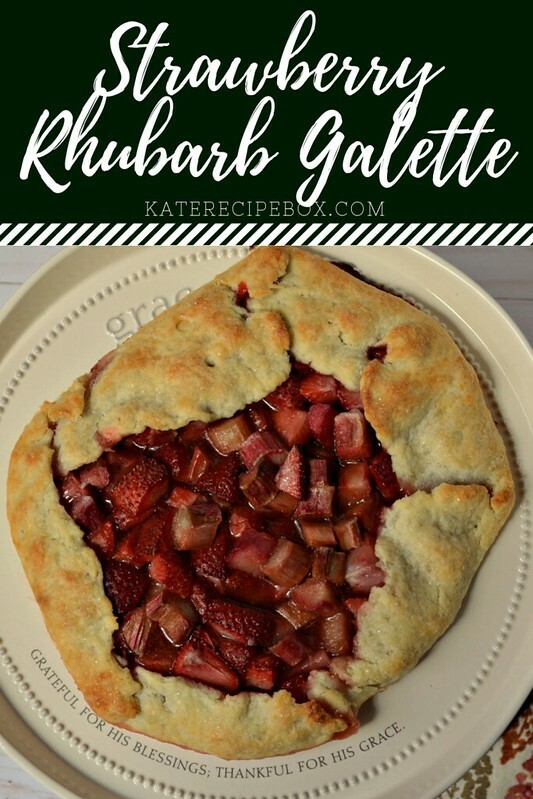 I love the rustic look of a galette, and yours looks so pretty with the strawberries and rhubarb. I’ve never made a galette before, I need to add it to my kitchen bucket list.